With its early start in the Muskoka area, Midway Lumber Mills Limited has been claimed by the Thessalon area for the past fifty years as a source of industrial and economic pride. The move to Thessalon Township from its southern roots brought Mr. J.B. Morgan and his family to the north shore of Lake Huron, reinforcing the industrial complexion of the area, while sustaining the timber heritage characterizing the Thessalon area since its early beginnings over 100 years ago with Nathaniel Dyment. Midway Lumber was not the only logging and lumber operation in the local area, nor certainly the first, but it has remained longer than any other and provided employment and a solid economic base upon which its sister mills and most local businesses and their employees have relied on for over a half century. A unique man in many respects, J.B. Morgan has been credited by many for not only providing a sustainable economic base to the area, but for introducing some of the most modern farming equipment, livestock strains and crop developments to the local agricultural community while operating his farm in the 1960s. John B. Morgan was raised on a farm in Southern Ontario. When he was younger he began experimenting with bush lots, which he began to cut. He made a bit of money doing this and it seemed to be enough incentive to get involved in logging more aggressively. Eventually he owned his own mill in Hastings County and his company was incorporated in 1924. By 1932 (during the Great Depression), he was able to survive with the resources he had built up. In 1936 he started a small mill in Dorset and in 1938, another one in Vankoughnet, about 20 miles east of Bracebridge. In 1940, he incorporated Midway Lumber Mills Limited and when he began to run out of timber he bought the rights for two northern townships - McMahon and Morin. In 1948 he moved to the Algoma District, where he built his mill on Sherwood Road in Thessalon Township. As things progressed, J.B. decided to build a veneer mill instead of selling the veneer logs. This became one of the first developments of value-added production in what was becoming the growing family of Midway enterprises. The veneer plant was built in the Town of Thessalon in 1948 at the site of an old factory, which had operated years earlier in the community. In 1958, Birchland Veneer Limited was incorporated. Hubert Morgan, J.B.'s son, started work in 1938, growing up around the business. In 1951, he moved to Thessalon into an old office at the mill site where he lived upstairs for about three years. Hubert became the General Manager of the Midway Mill, working mainly from the office. J.B. Morgan passed away in 1969, when his son took over until his retirement. During the mid-1970’s Hubert’s sons, Bruce and Doug, took over the management of the two businesses. Bruce assuming the role of President and General Manager at Midway and Doug at Birchland Veneer. In the mid 1980’s they added Birchland Plywood to the two companies. This company was managed for several years by Don Peterson, a cousin of Bruce and Doug, until his retirement. 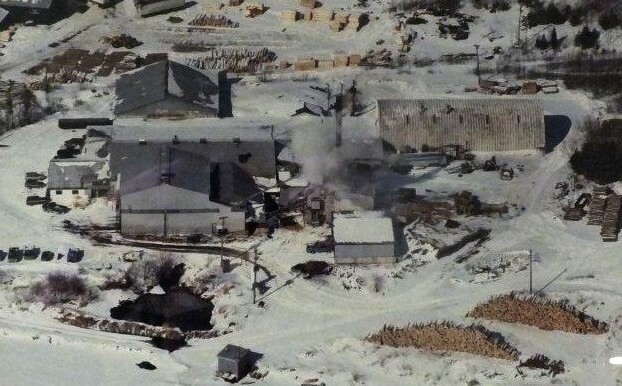 In 2007, Birchland Plywood and Birchland Veneer were amalgamated with Eric Morgan as President and Mike Morgan as President at Midway Lumber Mills – both sons of Bruce. Eric continued to run and grow the Birchland divisions until his untimely passing in 2014. Today, Bruce and Mike remain in active managing roles at both facilities – Mike as President and Bruce as Vice President.